Mega Holiday donates $10 (10%) to St. Mary’s! Dozens of local and national businesses are happy to share their profit with us by participating in the Scrip Program. With a bit of advanced planning and no added cost, we can raise thousands of dollars each year for our parish! You can buy scrip after Mass on any Saturday or Sunday and during the week in the parish office during regular office hours. Don’t see the business you want? Just write the business name at the bottom of your form and St. Mary’s will see if we can order it for you. You can choose to have 50% of the profit earned credited towards your RCS Family Fee or St. Mary’s Family Faith Formation fee – remember to indicate this on your order form! 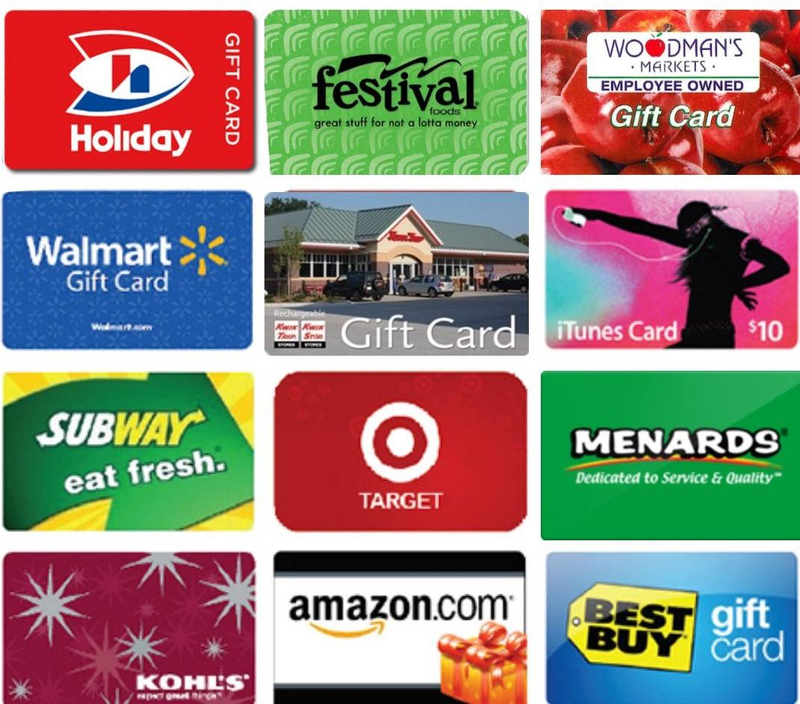 Scrip can also be donated to Apple Pregnancy Center in Eau Claire – they can use gift cards for Walmart, Shopko, etc. to purchase items for families in need. Apple Pregnancy will provide you a tax receipt for your donation. Thank you for supporting St. Mary’s Parish with your Scrip purchases!